Bonnes nouvelles tout le monde! If you’ve taken the time to visit the Nintendo Switch eShop lately, you can find a demo to check out on this fine day. 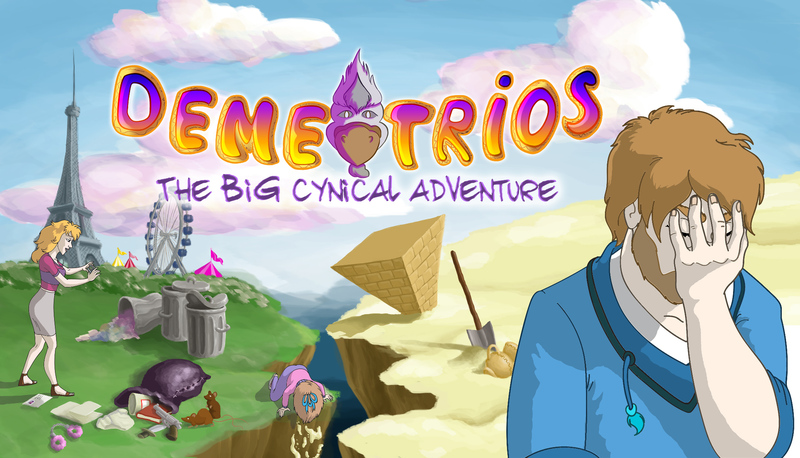 The demo in question pertains to Demetrios – The BIG Cynical Adventure, an adventure/puzzle game from France based developer COWCAT Games. Should you like what you play, the game is available for pre-loading ($9.99) and releases on December 3, 2019 for Europe and North America. In-game hints: Search for hidden cookies on every screen for help!